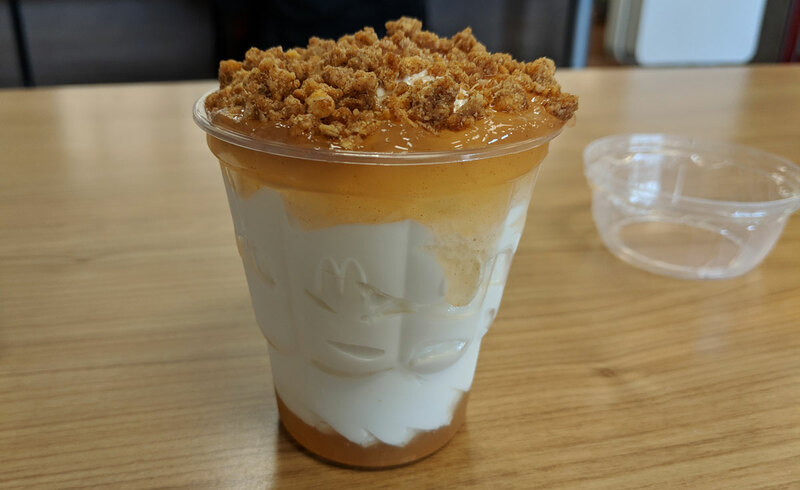 I’ll admit it: I was quite impressed by the Apple Crumble Sundae from McDonald’s. I really enjoyed it. It’s quite simple: vanilla soft serve layered with spiced apple topping, and sprinkled with with cinnamon oat crumble. The spiced apple topping is essentially apple pie filling, with a decent amount of small apple chunks. It’s a little bit tart, which works well with the very sweet crumble and ice cream. The crumble is a little bit too hard and crunchy, but it has a satisfying brown sugar flavour that compliments the apple topping and the ice cream nicely. 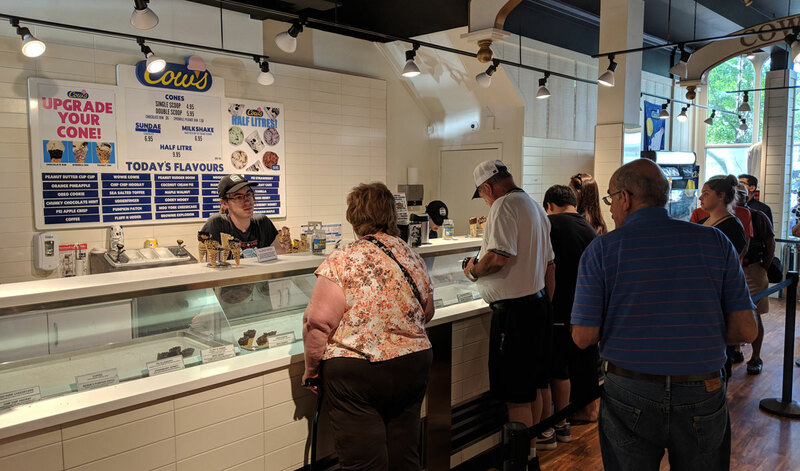 The ice cream is the ice cream. If you need me to describe McDonald’s soft serve for you, I really don’t know what you’re doing here. There’s not much more to say about it than that. It tastes like an apple crumble in sundae form. It’s exactly what you want it to be. 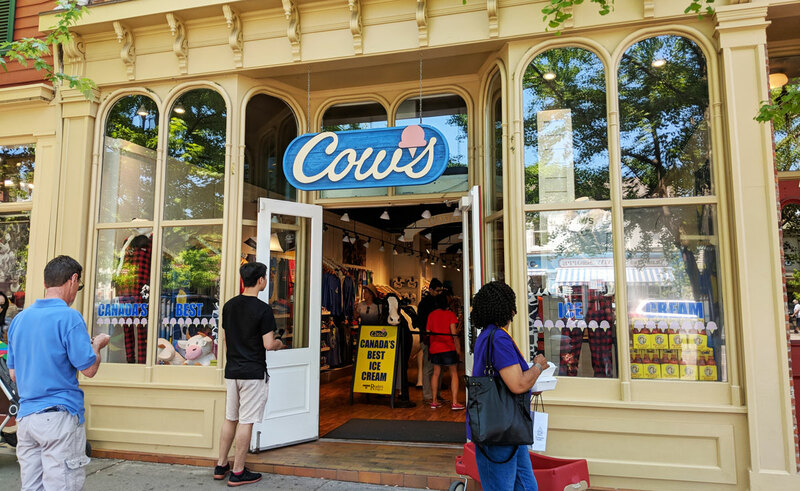 Cows has been a Niagara on the Lake institution since 1983, so they’re obviously doing something right. Though in this case, I think the thing they did right was picking a location that’s right in the middle of the main road in a very touristy town. Because the actual ice cream isn’t that great. 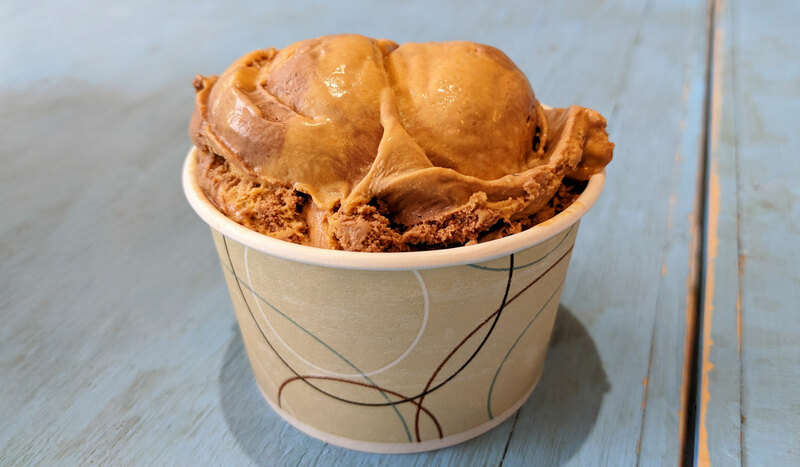 It’s relatively rich and creamy, so it’s certainly very, very far from the worst ice cream I’ve ever had. But the flavour was a pretty big shrug. The vanilla ice cream doesn’t taste like anything but generic sweetness. There’s nothing there. 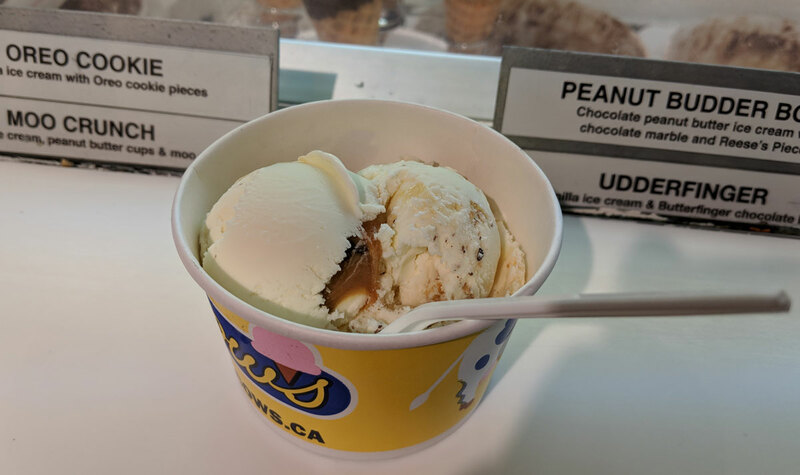 Plain ice cream can be amazing — the sweet cream at Ed’s, which doesn’t even have vanilla bean to fall back on, manages to pack in an impressive amount of flavour and depth. Meanwhile, this tasted like sweet nothing. 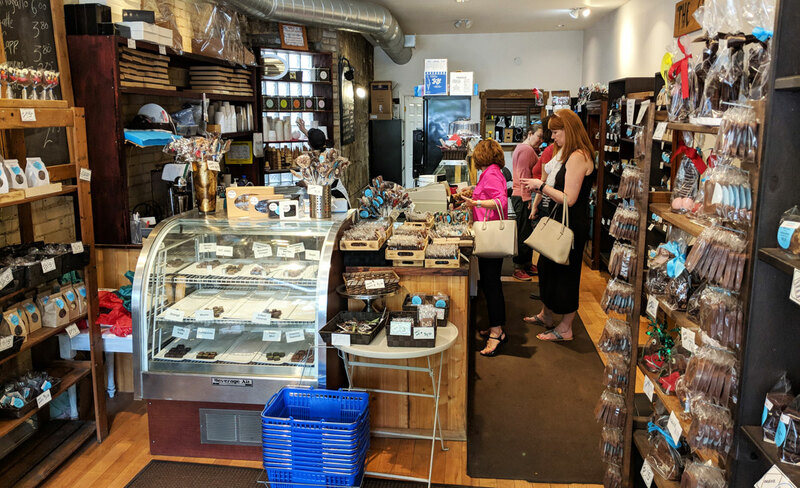 The “English toffee marble” was even worse, and there’s a lot of it rippled in there. It didn’t have any of the rich caramel flavour you’d expect from English toffee; it was just thick and sweet, like plain corn syrup. 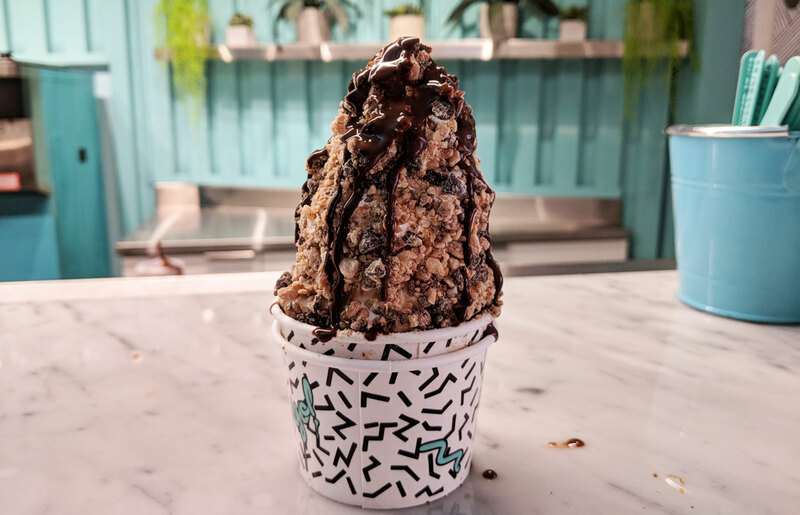 As for the other elements, the chocolate was fine, and the moo crunch didn’t even seem to be there (I’m not sure what it was supposed to be, but I didn’t notice anything but the caramel and the chocolate). The world tour (via McDonald’s) continues! And after the sub-par Chinese Szechuan Burger, this one’s actually not bad. 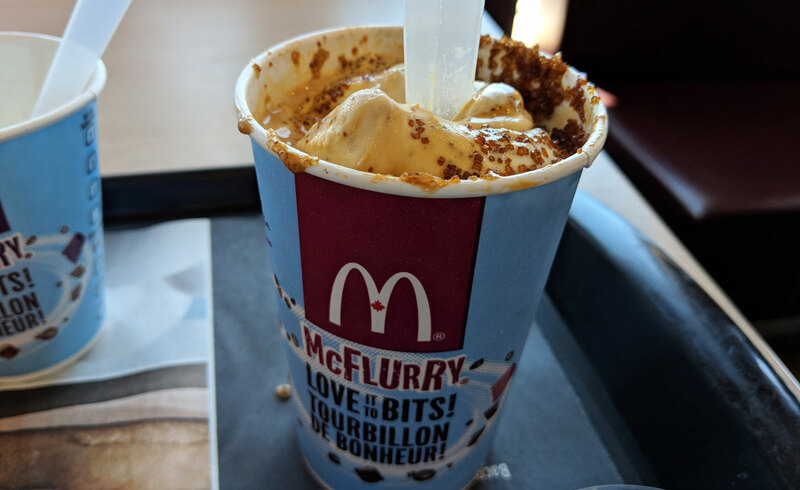 McDonald’s attempt at French cuisine is the Creme Brulee McFlurry: vanilla soft serve with caramelized sugar bits and “Crème Brûlée sauce” mixed in. I guess ice cream is harder to mess up than a hamburger (or I have a higher tolerance for mediocre ice cream), because I enjoyed this. There’s no custard flavour here — the sauce and the caramelized sugar bits are both trying to replicate the crispy shell of a creme brulee rather than the entire dessert. 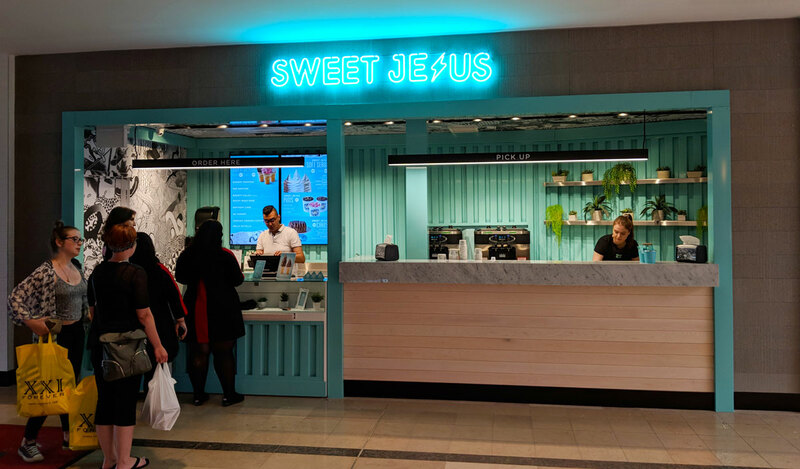 But it’s tasty enough for what it is; the sugar retains its texture even when mixed into the ice cream, and the sauce has a surprisingly rich, almost burnt caramel flavour. The whole thing is too sweet and the ice cream isn’t the best, but it’s not bad.